Home » What Does Hi Vis Mean? 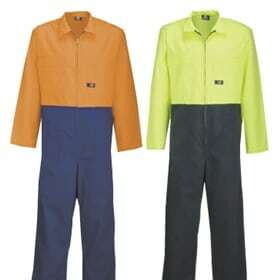 Hi-vis clothing stands for high-visibility clothing. This type of clothing, usually workplace uniforms, is any type of clothing that is reflective and easily visible. It is used in many industries to boost the safety of the employees and prevent all the accidents that could happen due to people not seeing each other in time. It is present in many industries. Hi vis clothing is used for those who work in the traffic and/or need to spend time working on the roads. Another industry that is known for their hi vis clothing is the construction industry. People there need to wear hi vis clothing so that they prevent accidents. Additionally, all workers that are employed in different types of warehouses, shipyards, airports and similar industries where the heavy machinery is used and a lot of items are stored need to wear hi vis clothing. 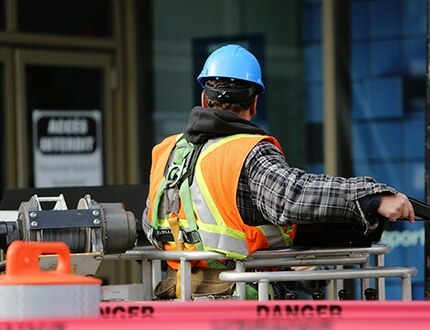 Hi vis clothing regulations in NZ that dictate the standards which have to be met by the workplace hi vis clothing are AS/NZS 1906.4:2010 and AS/NZS 4602:1:2011. 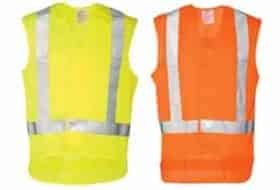 These standards include the colours allowed for hi vis clothing as well as some of the requirements that deal with the amounts of hi vis fabrics and similar details. Why Is Hi Vis Orange? The most of the hi vis clothing for outside workers is orange because this colour stands out from the green grass and natural surroundings the most. Hi vis standards in NZ regulate the colour of the hi vis clothing. They propose yellow and red-orange only. Entirely red clothing is not allowed because people with some types of colour blindness have issues discerning it from the surroundings. For safety hi vis clothing to be useful, it also needs to meet some other requirements. Hi vis clothing needs to have fluorescent material on both the front and back of the garment. The minimum of fluorescent fabric on hi vis clothing needs to be 0.2 sqm on the front and the same amount on the back. This amount of fabric does not include the patches covered by logos, reflective tape and other items. The reflective tape needs to be at least 50 mm wide. Since it is quite difficult to create hi vis clothing that is made out of natural materials, it is allowed to create underarm venting patches. They make the clothing more breathable and allow for more comfort, especially in the warm weather. How Does Hi Vis Clothing Work? Hi vis clothing ensures increased visibility of its wearers. This is achieved by including fluorescent or reflective pieces of fabric into the uniforms. These two types of fabric achieve increased visibility in two different ways. Reflective hi visibility clothing reflects the light that falls directly to it, under the right angle. If it is observed from angles that are not from the same direction as the light, the reflective tape is not that effective. It is usually used for the safety hi vis clothing in traffic. This type of hi visibility uniforms is also used for nighttime. This type of hi visibility is usually achieved by hi vis tape for clothing. Fluorescent hi vis clothing effect is achieved by colouring fabrics and materials with special types of dyes. This type of clothing is not suitable for nighttime use because it needs light to be visible enough. Namely, this type of dye uses short wavelength energy to convert it into glowing reflection. UV lights don’t have this type of energy, so this kind of hi vis clothing is not usable under that sort of conditions. How Many Classes of Hi Visibility Clothing Are There? High vis clothing in NZ is classified into three classes depending on their appropriate use. There are Class D, D/N, and N.
Class N includes the type of hi vis clothing that is used during the night. We already mentioned that the fluorescent dyes are not suitable for night use, so the visibility of these garments is achieved by hi visibility tape for clothing. Class D is, obviously suitable for daytime use. Its visibility is achieved with fluorescent areas on the garments. Again, we already said that this makes them unusable during the night, but also under artificial lights, especially UV lights. When these two types of classes are combined, you get Class D/N, which is hi vis clothing suitable for both night and day. This is achieved by combining the fluorescent patches and reflective tape. How Often Should You Replace Your Hi Visibility Clothing? It is best if you are able to replace your hi vis clothing every six months. This goes for that hi vis garments that you use regularly. However, this lifespan of your high visibility uniforms can be seriously reduced if you are wearing it every day and under some conditions that can damage it. Therefore, extreme conditions and excessive wear can damage your hi vis clothing. That is why it is important to inspect your garments after and before every use. That is how you will know if it is ready to be replaced. You will know that it is time to replace your hi visibility clothing if you find that it has faded, is torn, dirty beyond the possibility of washing and not visible from afar. There is another option when it comes to ensuring visible and sanitary hi visibility clothing. You can simply rent it from Alsco New Zealand. Alsco NZ has hi visibility clothing for NZ businesses which matches all the hi vis standards in NZ. Moreover, we will deal with the cleaning, replacement, and maintenance of your rented hi vis clothing. It is all included in your price. You call Alsco NZ and tell us how much hi vis clothing you need. We agree on the frequency of laundering the hi vis clothing you ordered. We deliver the uniforms as agreed. After the usage, you dispose of the hi vis clothing so we can pick it up. We pick up the dirty garments and leave the clean ones for you to use. The best part? All this is included into a flat annual fee that you can agree upon with our representatives right now. Call Alsco NZ and get your quote.